Loch Ness, with its legendary monster, is the most famous of all lochs. 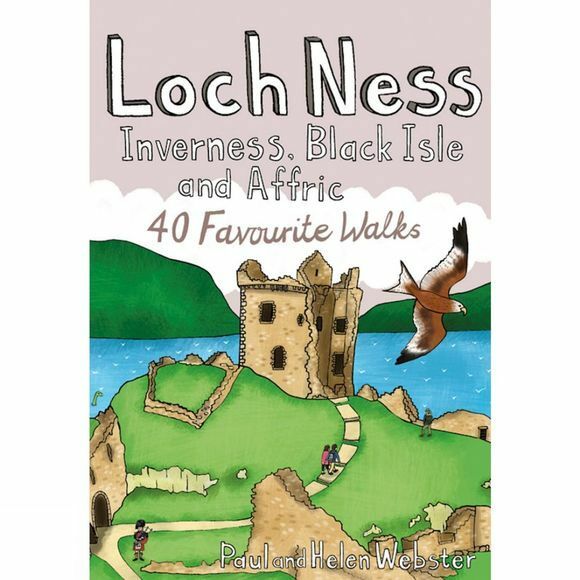 It holds more water than all the lakes of England and Wales combined and the countryside around it features an equally great variety of walks, with more waymarked trails and easy routes suitable for families than many other parts of the Highlands. Further north lies the magnificent Glen Affric – Scotland's most beautiful glen. This is a wonderful area of the Highlands for walkers, having the highest mountains north of the Great Glen but also some splendid lower-level and forest walks. To the east is the fertile Black Isle, packed with charming villages and some fine beaches, whilst further north still is Dingwall, a gateway to the spectacular Northern Highlands.